JERUSALEM (AP) — While Albert Einstein's theory of happiness may be relative, it fetched $1.3 million at a Jerusalem auction on Tuesday. The Nobel-winning scientist's musings, handwritten on a note, may not be as famous as his groundbreaking theory of relativity, but they still shed light on one of the great modern minds. Winner's Auctions and Exhibitions said Einstein was traveling in Japan in 1922 when he was told he would be awarded the Nobel Prize in physics. 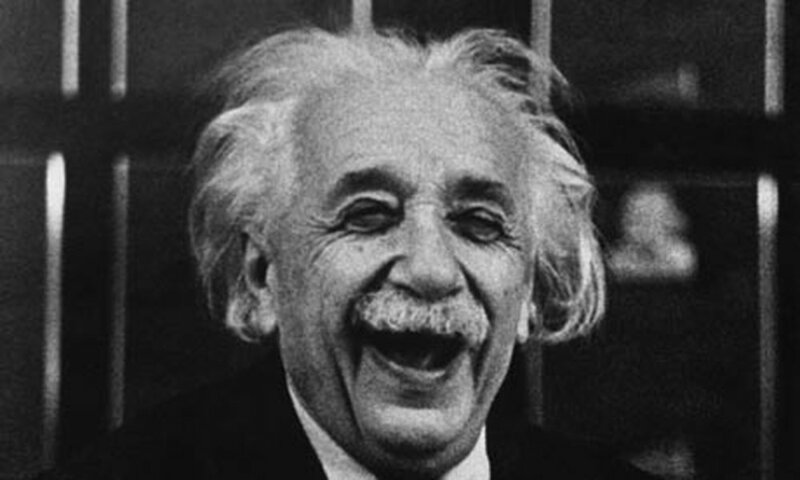 In Tokyo, Einstein scribbled the note in German to a bellboy after he did not have cash to give him a tip. "A calm and modest life brings more happiness than the pursuit of success combined with constant restlessness," it reads. Gal Wiener, CEO of the auction house, said Einstein told the bellboy that because of his fame, the handwritten note "will probably be worth more than a regular tip." Another note Einstein gave the bellboy, which read "Where there's a will there's a way," was sold for over $200,000, Wiener said. Einstein was a founder of the Hebrew University in Jerusalem and left it his literary estate and personal papers. He declined an invitation to serve as Israel's first president. Einstein died in 1955.